Earlier this year, I resumed my duties as a groundskeeper around the office of a small ecological consulting company in Pennsylvania. 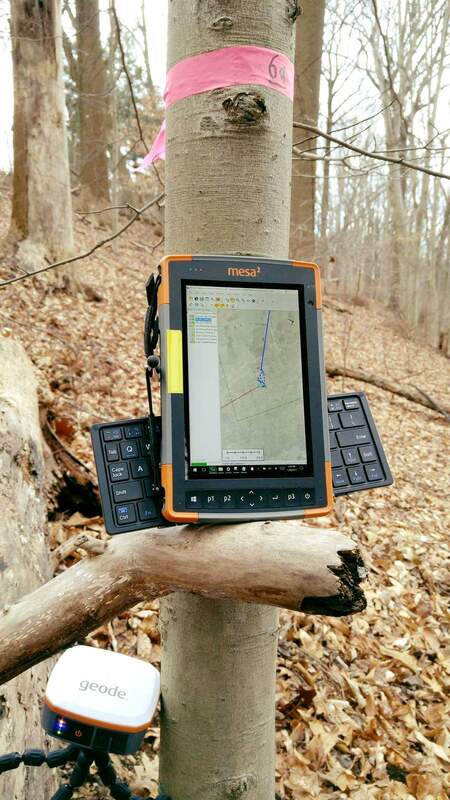 Having received my Bachelor of Arts in geography from West Chester University of Pennsylvania, a few decimal degrees of GIS still lingered in my head, so when I was called into the office mid-January to help operate a Mesa 2 Rugged Tablet demo model, I was happy to comply. It seemed like a curious portable device that could definitely take a punch and continue to run without skipping a beat, and I was discovering new and exciting features on a day-to-day basis. 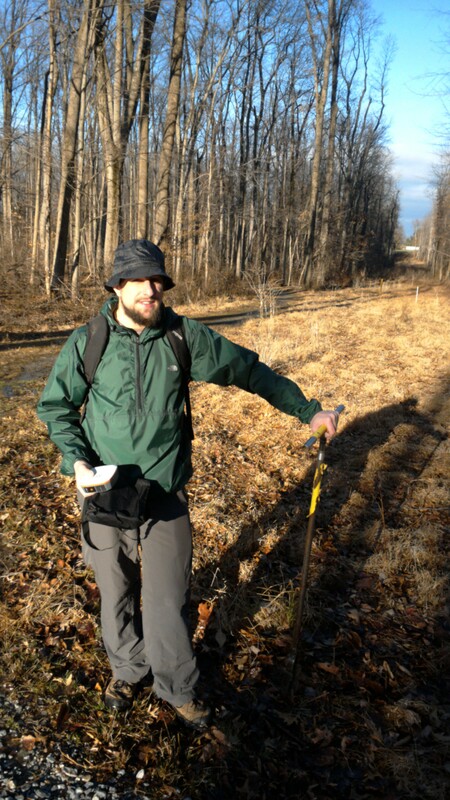 Using the property grounds and the surrounding forest, which I had become familiar with in the previous years of work I had done outside, I began to establish a series of waypoint markers to mimic the Flagging Tape used in actual field work data analysis; I then tested different methods of data collection and cross-referencing in order to establish the most efficient and practical means to carry out potential field work applications in the future. I was intrigued by the node-locked copy of Global Mapper™ v18.0, which my boss had purchased from Blue Marble Geographics – Global Mapper was a GIS software company staple, but completely foreign to me (I had settled into Esri’s ArcGIS™ software during my college years). With my experience in GIS and the novelty of a portable touchscreen device capable of running Global Mapper on Windows 10 OS, the Mesa 2 tablet became the perfect catalyst to boost my familiarity with the software. My comfort in performing GIS analysis through the Juniper Systems interface grew exponentially compared to that of my experiences using ArcMap on a desktop computer, and it wasn’t long before I was certain that the Mesa 2 would become an exceptional company asset. Specifically, it seemed that it would be invaluable in determining the relative accuracy of spatial datasets provided by external sources, in real-time, to account for the margin of error and establish new parameters that would better represent our firsthand data observations. It is no exaggeration that Juniper Systems has changed my life for the better. 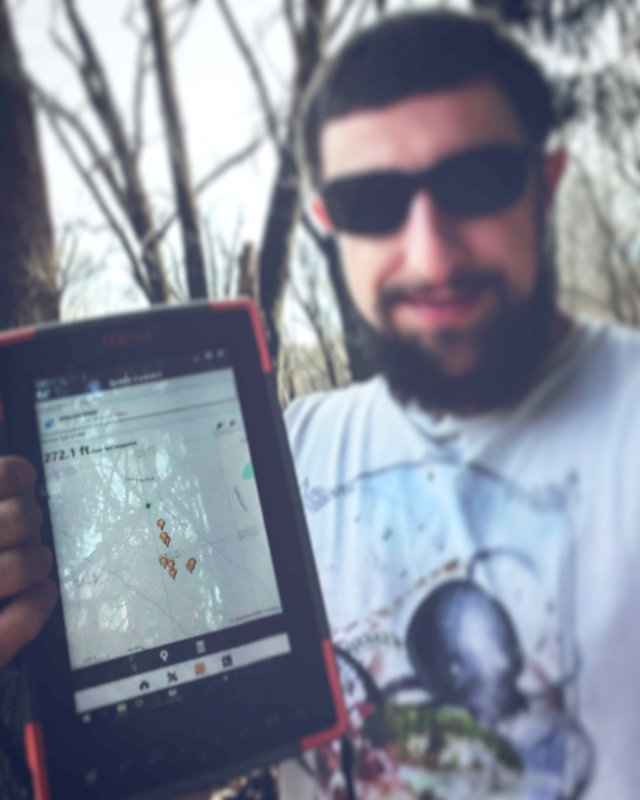 While I did enjoy working with my hands as a groundskeeper, my current position as a tech consultant/field assistant allows me to integrate my GIS skills with my love for the great outdoors! Suffice it to say, the demo model has been supplanted with a brand new Mesa 2 Rugged Tablet, outfitted with a few spiffy add-ons offered by Juniper Systems, such as the RS-232 9-Pin D-Sub connector and the Mesa 2 Four-Point Harness. Although this submission is meant to highlight the wonderful features of the Mesa 2, I feel compelled to mention that it pairs exceptionally well (both figuratively and literally) with the Geode sub-meter GNSS receiver. In fact, the reason I’d been presented with the wonderful opportunity of writing this piece in the first place was an “Ode to the Geode” I had posted on social media that Juniper Systems took notice to. Granted, it was more of a pun-riddled bout of exuberant wordplay and praise for this amazing GIS hardware/software than a serious composition. Nevertheless, the correspondences I have had with the people at Juniper Systems–for both technical assistance and follow-ups in exchanging advice or ideas–is a true testament to the care that goes into their products and their customer assistance. Similarly, it goes to show how much they stand behind these devices when they are willing to lend them out to prospective buyers. As satisfied as I am with the Mesa 2 Rugged Tablet, it should be noted that I did apply a couple of supplementary modifications before I was sold on the device. When I first started using it, the single USB 3.0 port and touchscreen interface concerned me, since my unwieldly fingers and lack of stylus-to-screen coordination undermined my close familiarity with Windows 10. For those who are also more comfortable with the traditional desktop hardware standards (or are not as adept in working with a touchscreen device), I highly recommend having a wireless keyboard/mouse device handy. The use of a multi-port USB 3.0 adapter is also extremely useful–particularly for office/desktop use with printers, storage drives, etc. My workstation consists of a simple multi-port USB 3.0 + Ethernet adapter, a keyboard/mouse combo, and a VGA display monitor with a USB-male adapter. It’s a less-elegant substitute for the Mesa 2 Dock accessory, but since our Mesa 2 likes to travel a lot, it makes the single USB port quite convenient. The Mesa 2 comes with a small-tip stylus that securely fits into a little slot at the back, and there is enough room that I have modified this all-plastic stylus with a rubbery/silicone polymer, which has greatly improved my interactions with the touchscreen (and still allows for snug storage in the back). In summation, the Mesa 2 is a uniquely efficient and reliable device, with plenty of ways to modify to your heart’s content (although I would not recommend doing so with a demo model). What at first had seemed to be shortcomings of this device inevitably turned out to be advantageous design strengths, and the little “fixes” that I have made to the office model were all very simple, quick, and inexpensive. The potential of a Mesa 2 Rugged Tablet is beyond impressive…throw a Geode into the mix, and you’ve got yourself a nice little arsenal of hardware for accurate and professional spatial data measurements. 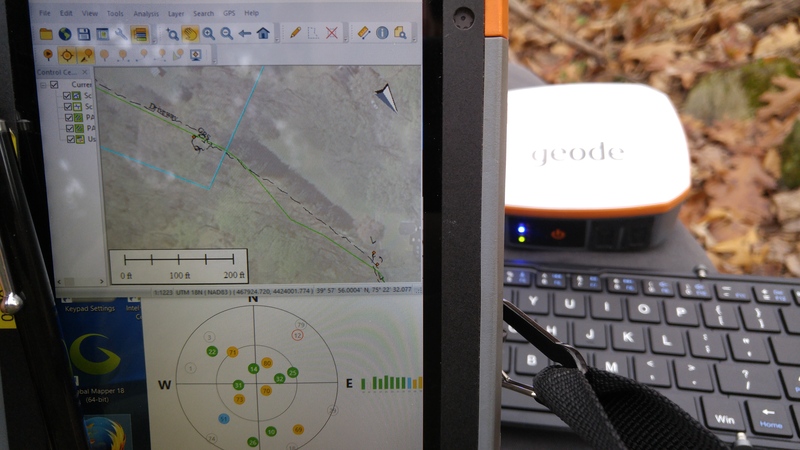 Taking these devices out in the field and tracking real-time GPS data has been an incredible hands-on experience for me, and when compared against datasets provided by some third-parties, the Mesa 2 and Geode combo may reveal geospatial inaccuracies that make it tempting to recommend Juniper Systems products to anyone interested in the ease and integrity of data collection. Matt is an avid outdoorsman with a passion for wilderness exploration and natural conservation. He loves to venture into the unknown, where he can come up with innovative approaches to the many exciting challenges in life. Matt’s approach in life combines the practicality of scientific rigor with the imaginative abstractions of creativity, he often refers to as “the art of winging it.” Thriving in the realm of uncertainty, Matt enjoys seeking out new experiences and expanding his world perspective through different cultures and environments. For more of Matt’s thoughts, visit www.existentialpace.wordpress.com, where he expands on his own personal values and recounts the hitchhiking travels that have sparked his passion for geography.